James Beard Award-winning and self-made chef Naomi Pomeroy’s debut cookbook, featuring nearly 140 lesson-driven recipes designed to improve the home cook’s understanding of professional techniques and flavor combinations in order to produce simple, but show-stopping meals. Combining elements of Julia Child’s classical aesthetic and ambition to teach the world how to cook with Naomi Pomeroy’s own unique history, style, and verve, Taste & Technique is an inspiring guide for home cooks who want to up their game in the kitchen. Pomeroy demystifies professional techniques by paring back complex recipes to the building blocks necessary to create them. Her “master lessons” approach, modeled after The Canal House cookbooks and Zuni Café, will appeal to home cooks of all levels who want to improve their skills. And her nurturing, self-deprecating tone is a welcome change from the ethereal fine-dining tomes that home cooks can’t actually cook from or the snapshots of a specific restaurant meant to celebrate the chef’s cult of personality. Beginning with sauces, and working from straightforward to more complex recipes, Pomeroy presents a collection of dishes you want to eat every day, including salads, vegetables, fish, pork, meat, and desserts—along with the tools and techniques you need to make each meal shine. 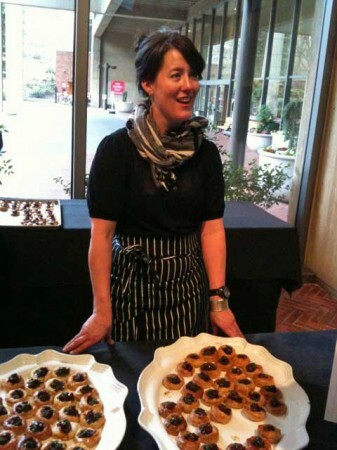 Named the James Beard Best Chef Pacific Northwest in 2014, Naomi Pomeroy is a self-taught, home-cook-turned-professional-chef and single mother who launched a successful catering business, underground supper club, and two popular restaurants before losing them all to bankruptcy. She regrouped, then opened Beast, and has been winning awards ever since. Category: Portland Food and Restaurant News and Discussion. Related posts about Beast Restaurant. More about Naomi Pomeroy. Previous Post: « Best Tonic Water – Are the Gourmet Brands Worth the Price?